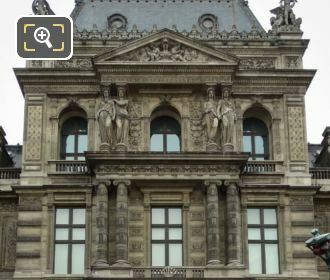 We were again at the Musee du Louvre in the 1st Arrondissement of Paris, but this time looking the Pavillon de la Bibliotheque, when we took these high definition photos showing a set of caryatids, which were sculpted by Astyanax Scaevola Bosio. 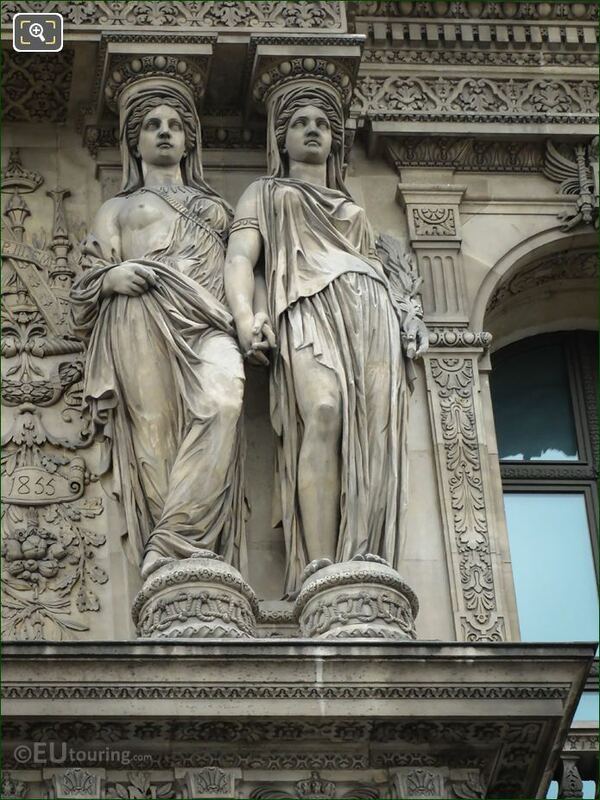 This first HD photo shows a set of two caryatids, which are an architectural design feature to replace a column or pillar, and always depicted as females, these ornate sculptures have an entablature on their heads, which you can see in this image, that supports the entablature above. Now this next photograph shows the location of this set of caryatids, which is on the third level of the Pavillon de la Bibliotheque, and although we are focusing on the set position to the right of this facade, the two on the left were also sculpted by the same artist Astyanax Scaevola Bosio. But this last image shows a close up of the caryatids and the detailing that went into these to make then as ornate as possible, but structurally sound, which is why these females figures are often depicted either with headdresses or long hair. 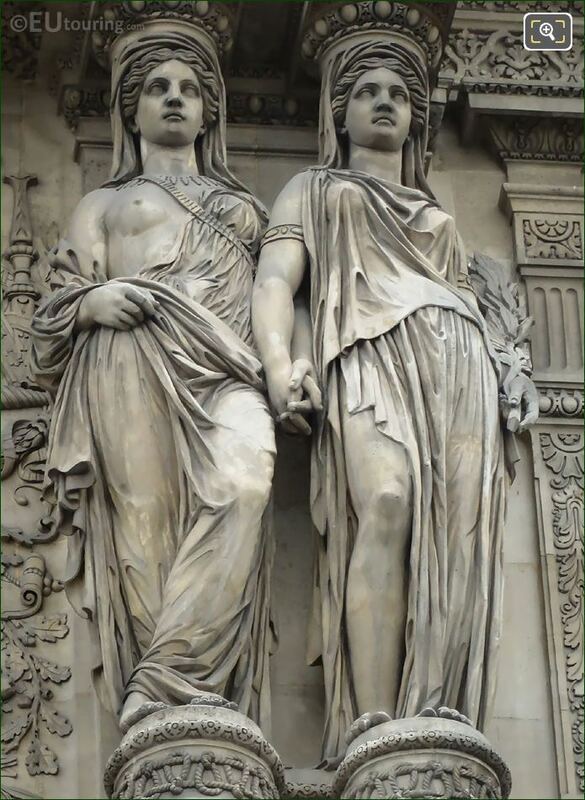 And as we mentioned, these were produced by Astyanax Scaevola Bosio who was born in Paris in 1793 and often known as Bosio the Younger, he was the son of the history painter, Jean Francois Bosio. 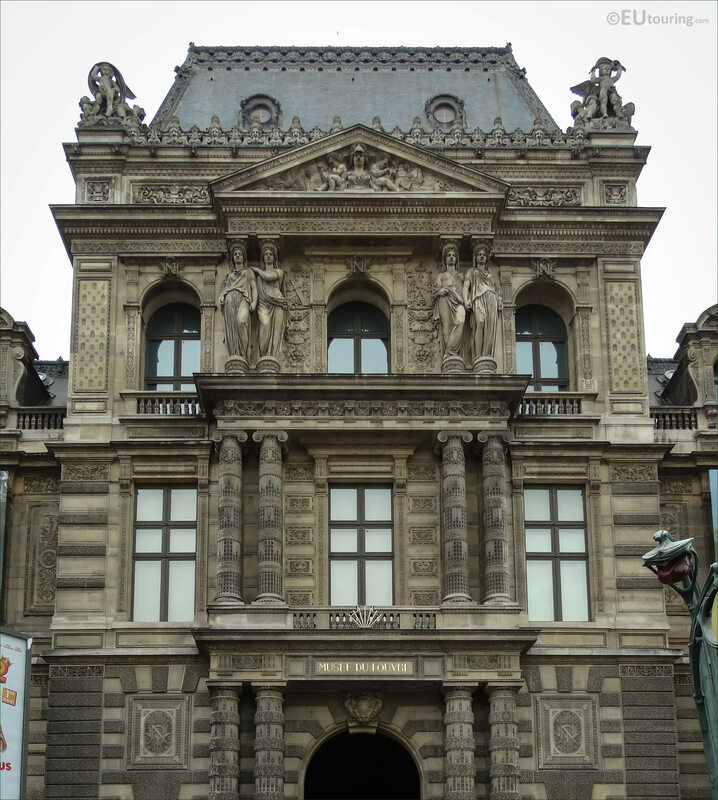 Yet rather than follow his father, Astyanax Scaevola Bosio followed the footsteps of his uncle, Francois Joseph Bosio, initially being one of his pupils in order to become a French sculptor, first exhibiting at a Paris Salon in 1831, and he was awarded the Legion of Honour in 1857, the same year that these caryatids were put in place on the Musee du Louvre.